Fall. The perfect time to tackle the garage. The weather is cooperating. It generally will not be too cold or too hot to get out there and work. The garage tends to be a strange animal, housing an assortment of our projects, our past and our present, and things that just may be needed “some day”. Because of it’s multitude of uses, and our “out of sight, out of mind” attitude, the garage tends to get cluttered quickly. And organizing it can be a daunting task, but it doesn’t need to be. Follow along as I guide you through 4 straightforward steps to organizing your garage. Now congratulate yourself, because you have just come up with a clear strategy for organizing your garage! If you are like the vast majority of people, you will have multiple answers for each sentence, because the garage tends to fill many functions. I want to __________ in my garage. I want to store __________ in my garage. Chances are, your garage is dirty and crowded. If possible, set aside an entire afternoon, and grab a friend or family member to help you. Next, create the following areas outside of your garage: TRASH, RECYCLE & HAZARDOUS WASTE, GIVE AWAY, TO REPAIR, OTHER LOCATION, and KEEP. And let the dirty work begin! Now is the time to pick up every item in your garage and sort them into one of the areas above. Depending on how crowded your garage is, you may need to tackle one section at a time, keeping the STAY pile inside the garage in a cleared out area. Why have I been keeping this? Have I (we) used it this year? If not, will I (we) likely use it in the coming year? Is it still doing something for me? If I have more than enough of these, how many do I realistically need? Am I tired of seeing this? Thinking about it? Cleaning it? Moving it around? If I’m going to keep this, is there a more practical place for it? If I’m not going to keep this, would someone else find it useful? If I get rid of this and need it again, can I rent, borrow, or purchase it easily? Now that you have sorted through all of the items in your garage, it’s time to take a few trips. Gather all your trash and put it out, or take it to the dump. 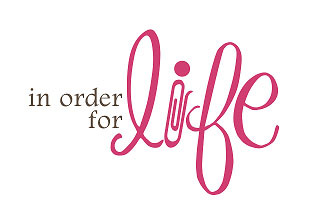 Decide where you will bring your items to be donated. For my Carroll County friends, check out my Carroll County Donation Guide in the Renew, Reuse, Recycle link on my website. Contact your county recycling center and/or landfill to find an appropriate location to dispose of hazardous waste. Again, for my Carroll County friends, check out my facebook post announcing the Residential Household Hazardous Waste Drop Off Event on Saturday, October 23rd. Take your “Other Location” items to their proper areas. Finally, take a second look at the items in your “To Repair” area. If the item is truly worth your time, energy, and money needed to complete the repair, bring it to the appropriate place to be repaired. If not, add it to your trash pile. This leaves you the your “Keep” pile, which you will deal with in step 4. Finally, as you sort and purge each section of the garage, take the time to sweep out and clean out the area. 4. Decide Where and How Everything Will Be Stored………….Let the Fun Begin! 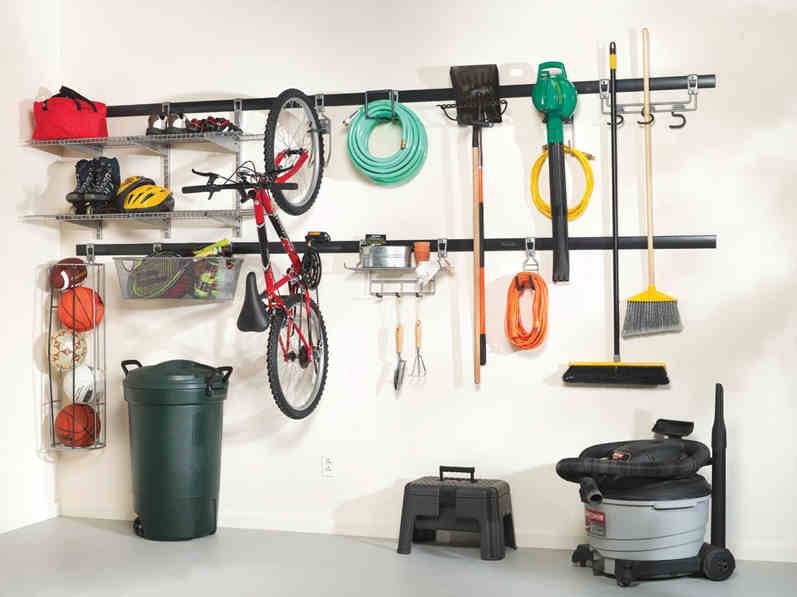 Check back in the coming days for simple, creative storage solutions for each section of your garage in my “Clean Sweep in the Garage” article.